Greetings fellow JITHers. Long time, no post. I've been around, just not posting (since November 28th, 2016? Egads!) in the formal sense. Sorry about that mk, but I just didn't have much to say. 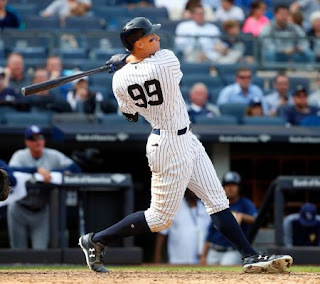 However I'm back for now with a look at first half awards and all-stars for the American League today, and later in the week I'll do the same for the National League. Gotta cover off the darkest days/nights of the baseball calendar with something I suppose, so please accept this humble offering. A few things to clarify before I get started. First off, any of these rankings that you see are for games through Sunday July 2nd, 2017 only. Why? Well, that is actually the end of the first half of the season, as it is the end of the 13th week in a 26 week season. Also, that is when the All-Star teams were originally chosen, and (perhaps more importantly) it gives me time to sift through the numbers to arrive at the choices I've arrived at. So, if you don't see one of your favourite players and he was hot as a pistol from July 3rd through July 9th, that's probably the reason. If you see a player and think "C'mon Jackson, gimme a break", and he happened to be going through a particularly bad stretch for those seven days, that's probably why he's where he is. There are ten slots for MVP, five slots for the Cy Young Award, and three slots each for the Rookie of the Year Award (AKA the Jackie Robinson Award), and the Mariano Rivera/Trevor Hoffman Award. This is because I think that's how it's done for the writers that pick the awards in real life. The Rivera Award is for best reliever in the AL, and the Hoffman is for the NL. For the All-Stars, I picked 32 for each league (7 SP, 5 RP, 20 Position Players), confining myself to the fan all-star voting for both the starting position players and the final player votes. I then added replacements for players that were injured, or starting pitchers that started on Sunday July 9th. This brought the AL roster total to 37, and the NL roster total to 33, but only 32 for each league would be eligible to participate in the game. There's also a method to my madness. For further info on that, please read this (from my first ever post on JITH). It gives a little background on some of the numbers I like to look at to make these tough choices. In a year where seemingly every player in MLB has at or near 20 homers and 50 RBI at the break, I think it's important to dig a little deeper to find the hidden gems when making these decisions. You're free to disagree with that of course. You may feel that the triple crown stats are where it's at for both hitting and pitching. Cool. You'll have your shot in the comments section to come up with your own award winners and all-stars if you want, or not, or just judge/criticize mine without offering any alternatives. It's up to you. It's your space. I think that's it for clarifications, so let's get on with it. Aaron Judge has had a great first half of 2017. There's no getting around that. Through the games of July 2nd, 2017, he had a .327/.448/.687 slash line, good for a 196 wRC+, while leading the AL in fWAR (5.1), bWAR (4.8), REW (3.83), posting a very good WPA of 2.23 (good for 6th in the AL among position players), and leading or being near the top of the AL in a multitude of categories including AVG (.327), HR (27), RBI (62), R (70), all while playing average defense and running the bases at an average level. If the season had ended on July 2nd, he would definitely have merited the AL MVP Award for 2017. It didn't though, and that gives the rest of the league a chance to maybe catch up. He also still only had 434 career big league plate appearances at that point, and in order for us to know his true talent level, we're going to have to wait for him to get about 1,500 or so. If he keeps it up, he could be named MVP, and we could still be waiting for the returns to come in on his true talent level. Phenomenal start, but let's see if he can keep it up. Any number of candidates will be there to catch him should he falter in the second half. Chris Sale had been mowing down hitters at a ridiculous 12.38 K/9 through July 2nd, and absolutely merits his start in the All-Star game against Max Scherzer. Mike Trout had only had 206 PA through July 2nd, but all he did was slash .337/.461/.742, good for a 208 wRC+, and was still 6th in fWAR (3.3), 6th in bWAR (3.4), 1st in WPA (3.48), and 2nd in REW (3.12) despite all that missed time. If he comes back as strong as he was to start the year, it'll be a battle royale for the MVP. Trout will probably be punished for all the injury time in the real world vote, but he is otherworldly and definitely merits a closer look than he'll get, provided he comes back OK from the injury. 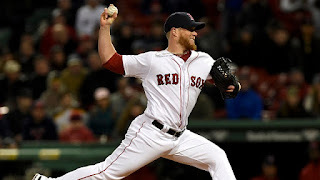 Any number of Houston Astros could rise up to claim the hardware, as well as Jason Vargas, Corey Dickerson, Mookie Betts, and others currently just beyond the scope of the top ten. 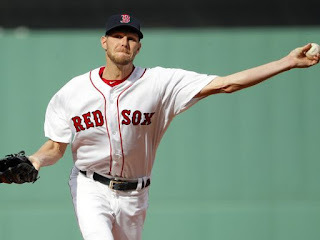 So much for the "Chris Sale is going to crumble under the unrelenting media pressure that comes with plying your trade in Boston" theme heading into the season. At least, so far. What a first half. He led the AL in fWAR (5.1) by a country mile. The next nearest was Michael Fulmer of the Tigers at a distant 3.1 fWAR. He placed 2nd in bWAR (3.9) behind Jason Vargas of the Royals at 4.4 bWAR. He was also 5th in WPA (2.53), and 3rd in REW (2.36). As mentioned above, he posted 12.38 K/9 against a paltry 1.64 BB/9, and allowed a minuscule 0.67 HR/9 in Fenway Park in a season in which everybody seems to be "going yard". He went 11-3 with a 2.61 ERA, 2.01 FIP, and 2.69 xFIP, along with 166 K against only 22 BB and only allowed 9 HR in 120.2 IP. Ridiculous. Let's see how he does in the second half as the pressure from the media ratchets up tenfold in that crazy market before we hand out the hardware, but as of right now, he's the man for the Cy Young. With Chris Sale, we've come to expect stuff like this, but Jason Vargas (12-3, 2.22)? Whoa! Where did that come from, and is it sustainable? His peripheral numbers were nowhere near Sale's (except for HR/9 at 0.71), but he is getting the job done, and then some. He's also got a .273 BABIP, which suggests he might be due for a slight correction, and a LOB% (or "strand rate") of 85.7%, which is a bit high as well, so maybe a correction is coming for him. For comparison, Sale has a more normal .288 BABIP, and a more normal strand rate of 74.5%, which makes him very scary because there might not be much correction in store for him. Can't argue with the results for Vargas so far though. Dallas Keuchel, like Mike Trout, missed a lot of time to injury, but like Trout, when he was out there, he was phenomenal (9-0, 1.67). His very low BABIP (.222), and very high strand rate (88.7%) could be cause for concern, along with the neck injury if he can make it back. Craig Kimbrel looks to be back too. To the tune of a 1.01 ERA, 0.42 FIP, and 1.21 xFIP in 35.2 IP, with 16.15 K/9, 1.26 BB/9, and 0.25 HR/9. This game is not that freakin' easy. Apparently it is. At least for half a season. Yu Darvish rounds out the top five for this award so far in 2017. Sale's the favourite for now, but let's just see what the stretch run brings us. Enough with Aaron Judge already. Suffice to say, when you're considered the MVP of your league, and you're a rookie, well that also makes you the Rookie of the Year. Ben Gamel and Mitch Haniger are a couple of very intriguing corner outfielders that Seattle acquired via trade from the Yankees and Diamondbacks respectively. Gamel was slashing .336/.395/.472 as of July 2nd, good for a 137 wRC+. Haniger was slashing .285/.400/.447 as of that date, which was worthy of a 143 wRC+. Both are slightly below average defenders, and Gamel's an above average baserunner, while Haniger's right around average. Both are in tough to come away with this award, and it looks like Judge's to lose because he only has to go up against the rest of the AL rookies for this one, whereas with the MVP, he has to take on all of the other players in the AL. Trey Mancini of the Orioles, Jordan Montgomery of the Yankees, Andrew Benintendi of the Red Sox, Danny Barnes of the Blue Jays, Jacob Faria of the Rays, and Scott Alexander of the Royals are ones to watch for the #2 and #3 spots, but #1 is pretty much sewn up already. As mentioned above, Kimbrel's been crazy good this year. Whether that fully represents all he's going to be in 2017 remains to be seen, but he appears to be back to 2012 Kimbrel, and not 2016 Kimbrel, which could be bad news for the rest of the AL. Of course with relievers, all it takes is a bad outing or two for things to get shaken up a bit, so we'll have to see, but he's definitely the front-runner at this point. Andrew Miller's no slouch, and could take it if Kimbrel falters. He finished July 2nd with a 1.49 ERA, 1.61 FIP, and a 2.34 xFIP. He's not quite as ridiculous as Kimbrel in his peripherals, but he still had 13.82 K/9, 2.13 BB/9, and 0.43 HR/9 across 42.1 IP at the cutoff point, which is nuts. Not Kimbrel nuts, but still nuts. Chris Devenski's the guy you've probably never heard of, who's been great for a year and a half now. His case is helped by the volume of innings he's worked, as he's pitched 50.1 IP, but the quality is definitely there as well. Those that managed to watch Saturday's victory over the Astros will remember his name because the Blue Jays torched him for 4 runs in 1 IP. Remember that was after the cutoff point, so the pitchers waiting in the wings for these guys to falter (Mike Minor of the Royals and Roberto Osuna of the Blue Jays to name a couple) may have already passed him thanks to that rough inning. Such is the life of a relief pitcher. As always with these things, there are snubs. Three stand out to me. I think Brett Gardner's having an all-star worthy season. 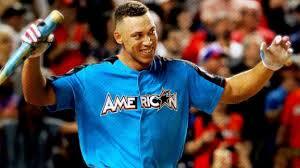 His above average all around game can get lost in all the dingers that we've seen so far this year. He did have 15 of those at the cutoff, and is playing defense and running the bases very well, and he's doing it at age 33. He got cut when Khris Davis had to be added due to the one player per team rule. Robinson Cano is having yet another all-star calibre season in a career chock full of them (on the way to Cooperstown?). His fate was decided when I had to add Jonathan Schoop of the Orioles due to the same rule. It's not that Davis or Schoop are bad players. They're having very good seasons. It's just that I think there were players at their positions having better seasons than them, but the rule is the rule, and I absolutely understand why it's there and agree with it being there. Then there's Gary Sanchez of the Yankees. He definitely belongs, and would be there if not for Salvador Perez. Then again, the fans did an outstanding job on the ballots this year. There really aren't any legacy all-stars who are having crummy seasons, but are there because of what they've done in the past. At least, there aren't any on either club who were put there by the fans. The players/coaches vote and manager additions are a whole other story, but you can figure out for yourself which ones I agree with and which ones I don't by comparing my team(s) against the ones in Miami. Why Alex Avila? I can't help but think that if Brad Ausmus used Avila as the starting catcher that he's played like this year, and used James McCann as the defense-first, pitcher handling backup catcher that he's turning into, that things would look different from a catching perspective in Detroit. Maybe Avila would wilt with too much playing time though. That's certainly not going to be the case with Salvador Perez, who seems to catch every single game. If I could have, I would've taken Avila and Sanchez, but Perez is a very deserving all-star too. I just have him behind the two of them. Maybe there are just too many darn players that deserve to be all-stars. The limit's 32 though (that are active for the game), and these are mine. Who have you got for the awards and all-stars based on what you've seen so far this year? Try it for yourself. It's not as easy as you might think.